Kicking off a stretch of several busy months, August 2017 sees the release of Uncharted: The Lost Legacy, Madden NFL 18, Resident Evil Revelations, Life is Strange: Before the Storm Episode 1, Everybody’s Golf, Undertale, Matterfall, LawBreakers, Hellblade: Senua’s Sacrifice, ARK: Survival Evolved, Patapon Remastered, Batman: The Enemy Within Episode 1, Agents of Mayhem, Sonic Mania, Yakuza Kiwami, and more. 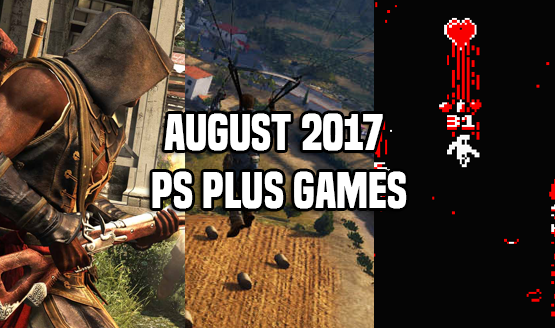 The August 2017 PlayStation Plus lineup doesn’t include any new releases, but you will find Just Cause 3, Assassin’s Creed Freedom Cry, Downwell, and more. *Keep in mind that all release dates are subject to change and new PSN releases are added weekly. For requirements on PSVR games, check the official product page/retail box. What are you planning on playing in August?